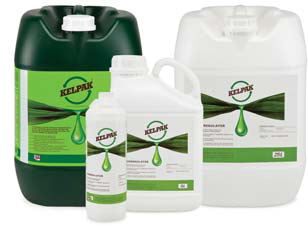 View cart “Kelpak 500ml” has been added to your cart. From the razor-sharp blades , Micro-Tip Pruning Snip has packed superb performance into a tiny package. Theres even a blade cover to protect you and the blades on those rare occasions when youre not putting this snip to good use. Rooting hormones are available in powder and liquid form to the horticultural industry for the propagation of plants. These rooting hormones are used extensively for the propagation of plants for ornamental use in gardens and landscaping, as well as commercially for the propagation of fruit trees. Give your cuttings a strong start with Root-Gel. Its patented combination of vitamins and hormones works to simultaneously protect and nourish cuttings while promoting vigorous root growth. Root-Gel forms a protective seal around the treated area, which acts as an artificial root system while the cutting grows. 50ml Vitamin-hormone gel formulated for the propagation of cuttings. Root-Gel contains IBA, NAA, and vitamin B-1 in a water soluble form, plus just the right amount of essential minerals.Product may differ from image.Rooting hormone gel is great for making clones and taking cuttings from existing plants you have .